AFM ( The Environment Fund Administration) launches for the first time the Program for installing photo-voltaic systems for isolated households not connected to the power distribution network. 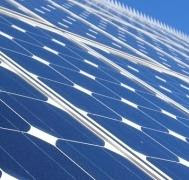 The Environmental Fund Administration approved for the first time the organization of the financing file submission session within the Program for installing photo-voltaic systems for isolated households not connected to the electricity distribution network during 10 April 2019 - 10 July 2019. The aim of the program is to increase energy efficiency, improve air quality and reduce greenhouse gas emissions by generating electricity from renewable sources at homes located at least 2 km from the national electricity distribution grid and reducing the use of conventional fuels. The object of the program is financing acquisition and installation photo-voltaic panels systems using renewable, non-polluting energy sources. The program is multi annual and the program financing is made from the Environment Fund revenues resulting from the sale of greenhouse gas emission allowances, within the limits of the sums earmarked for this purpose through the annual budget of the Environment Fund, approved according to the law. The beneficiaries of the program are the administrative-territorial units to which the funding dossiers have been approved and which have concluded a non-repayable financing contract with the AFM under the program. Only costs incurred after signing are eligible grant contract. During a grant session, the applicant may submit a single application for funding for a part or all of the households listed in Art. 10 par. (1). For each household, funding can be obtained once. During the period established by the provision provided by art. 10 par. 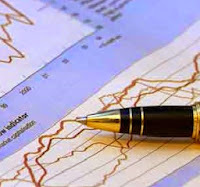 (2) and only for the households listed in paragraph (1) of the same Article financing shall be submitted to the C.J. within the territory of which the applicant is located, paged and written, in a single copy. The amount earmarked for the financing of this Program, according to the Income and Expenditure Budget for the year 2019 of the Environment Fund and The Environment Fund Administration is 230 million lei (50 million euro). The non-reimbursable funding granted by the Authority is 100% of the eligible expenditure but not more than 25,000 lei ( aprox. 5400 euro) including VAT for each photo-voltaic system serving a household. Funding is granted in a staggered manner, within the period of validity of the grant agreement and as part of the project implementation. RENEXPO® WATER & ENERGY, the largest international trade fair and conference program in the region about sustainable energy development, energy efficiency, environmental protection, water management and waste and e-mobility, will be held for the fifth time in Belgrade from April 24th to 26th. 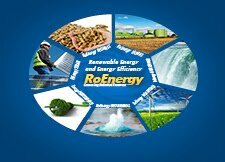 development in the field of energy and the environment. The official partner country this year is Germany, which is participating with 16 German companies to present technical solutions and equipment. The recognizable orange pavilions are now made up of 15 companies from the Netherlands. A large number of companies from Austria, France, Hungary and other countries will participate in the event, which are genuine leaders in new technologies and the development of complex solutions in energy and environmental management. Sponsors of this year's fair are ProCredit Bank, Global Hydro, Siemens Games, Winery Bikicki, water Tronoša, Termogamma Energy. "RENEXPO® in Belgrade is again this year a real international platform," said Johan Georg Röhm, director of REECO Serbia, which organized the event, and added that international character means that 65 percent of exhibitors and 20 percent of visitors are coming from abroad. In the program part of the event, several important conferences will be held in three days, which will, through lectures, analyzes and presentations of leading consultants, representatives of state institutions, local self-governments, associations, public utility companies and business sectors, seek for solutions for some of the most common problems that investors face, but also will identify existing opportunities for new projects and investments. Entrance to the fair is free, with the required registration. The SHC Solar Award of the IEA Solar Heating and Cooling Programme (IEA SHC) celebrates the success of those working to increase the market impact of solar heating and cooling technologies. This year’s recipient will have demonstrated substantial achievement and measurable market impact from a financing mechanism (e.g., ESCO performance guarantee, selling energy, etc.) implemented to support solar heating and cooling. The mechanism must be sustainable, meaning that it will result in the purchaser paying for the installation in commercial terms. Nominations of technology suppliers, financial service providers and other organizations are welcome. Nominating a company, organization or individual is easy with our online submission form link below.